Zwift’s best advertising is done by Zwifters. In my experience, non-Zwifters don’t “get it” until a Zwifter explains it to them. Enthusiastic Zwifters pull in more Zwifters. But here’s a key piece that is still missing: voice interaction. I know Zwift toyed with this idea over a year ago, but ran into difficulties with implementation. And I get that–figuring out how to let Zwifters talk to each other without negatively impacting other Zwifters’ experience is no easy task. While we wait for Zwift to figure out how to make it work seamlessly in-game, perhaps the community needs to embrace and push a standard to bring voice chat into the realm of the “normal Zwift experience.” That’s why I’m writing this post. 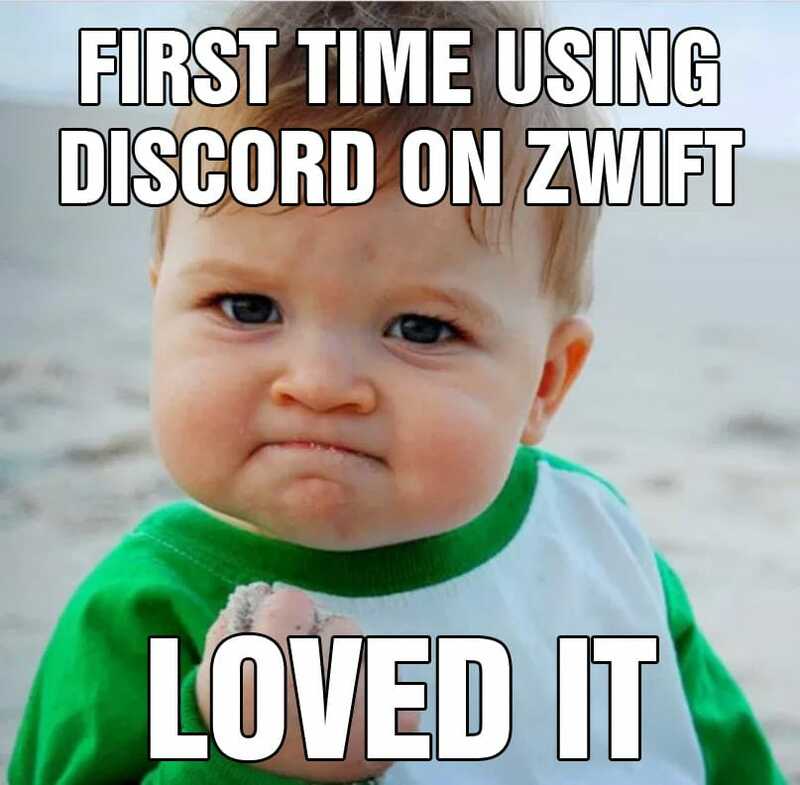 Because the Zwift community already has a simple tool at their fingertips to engage Zwifters with voice interaction: Discord. It’s a relatively simple app. It’s free. And it works great–all you need is a smart phone with some earbuds. But we aren’t using it enough! In fact, I’ve joined several group rides lately which include a Discord channel link in the event description… but no one on the ride is logged into the channel. Bummer. I love using Discord, especially on longer rides. 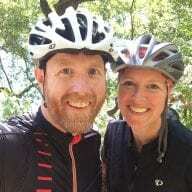 Wagner’s Wagon is a metric century ride led by Justin Wagner of TeamODZ every Thursday morning at 4:15AM Pacific time. This ride typically has several folks signed into Discord (including Justin), and it’s the voice chat that makes the miles fly by. Zwift is an entirely different experience when you can talk and joke with others. It’s like riding outside, but without the wind in your ears! So this is my call to all Zwifters: let’s embrace Discord. Ride organizers: set up a channel and share the invite link. 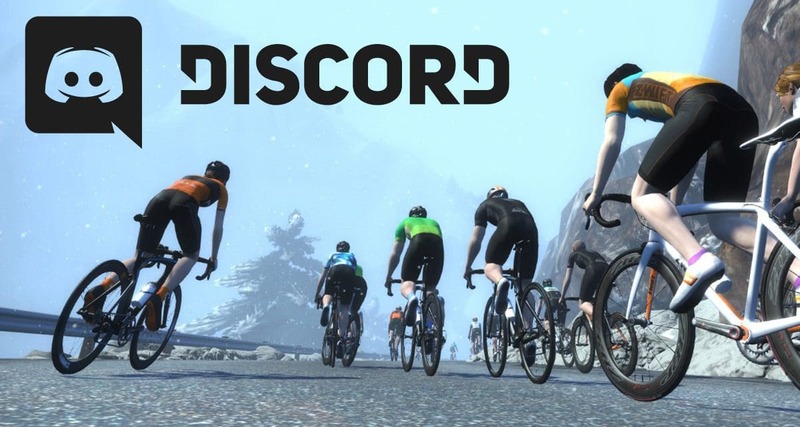 Riders: install Discord and use it on group rides. Let’s make this happen! Want to try Discord? Here’s a quick tutorial covering using Discord on Zwift. For races, having teammates in your ears changes everything in a good way. You can even use push-to-talk mode (or click to quickly mute your mic) if you’re worried about people hearing your heavy breathing. If you’re running zwift on an Android device can you also run discord simultaneously? Not absolutely sure, since I don’t have an Android device to Zwift on. But you certainly can if you’re running Zwift on iOS. No stress, I’ll should just give it a shot and I’ll know ? Let your legs do the talking. We also have to think about the language, for us in Spain, not everyone can speak English, even another language that does not know English either, first I would add more languages to zwift, and then implement technical advances like this one. i also had some very good experiences using a discord channel during PACK or ZRG rides. I would everybody encourage to try it. When ever I lead Group rides I will have discord, spotify and the game sounds in my ears. Time fly by if you start chatting especially for the long base miles. 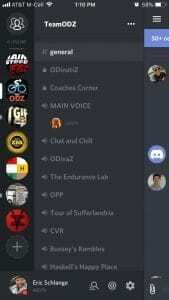 One thing that I still could not find is a general Zwift channel for when I just want to chat and all my friends are still sleeping. Hi, I´m Hans from Germany. 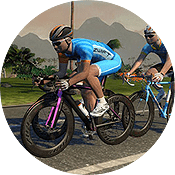 I´ve set up discord and joined the Zwift Rider Germany. In order to establish a 2nd channel with my friends, how does Zwift know that I´m using discord ? I know it is a dump question ! I totally agree that voice chat would be a great addition to a Zwift ride. I feel that Discord or Teamspeak is really only good for pre-arainged talking within a group (a small one) or between friends or a team. It does not take many simultainious talkers to make the experience just noise and unusable. The best implementation I can think of is just like outside.. you can talk (push to talk), but only people within 10-15 feet or so can hear you.. and anyone can opt out of listening if they dont care. This keeps all conversations local and natural. This would probably need to be a Zwift implemented thing to be effective though. I like it – much easier than typing whilst riding on rollers – but does drain phone battery quickly…. Based on a number of your posts, I have finally installed discord and purchased some earphones. I’m curious about the next step. I open discord, join the channel, change to voice (and push to talk). From there, do I simply let discord run in the background while I use the companion app?